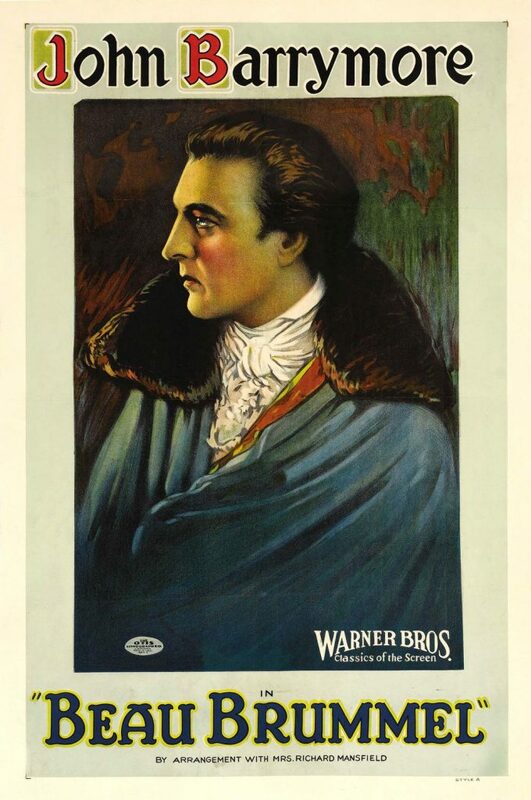 Beau Brummel is a 1924 American silent film historical drama starring John Barrymore and Mary Astor. The film was directed by Harry Beaumont and based upon Clyde Fitch’s 1890 play, which had been performed by Richard Mansfield, and depicts the life of the British Regency dandy Beau Brummell. Several years after Barrymore’s death, his daughter Diana Barrymore was shown a special screening of this film as she had never seen her father in any of his silent films. In 1952, the film entered the public domain in the United States due to the failure of Warner Bros. to renew the copyright in the 28th year after registration.